Eczema is a skin condition characterized by patches of red, scaly, itchy, dry, or flaky skin, primarily on the face, arms, knees, hands, or feet. Somewhere between 10 and 20 percent of infants suffer from eczema, but most of them will outgrow it by the time they enter their teens. However, some adults continue to suffer occasional eczema flare-ups all their lives. The most common type of eczema, atopic dermatitis, is thought to be an inherited condition linked to an overactive immune response to certain irritants. This condition is common in families with a history of allergies or asthma. 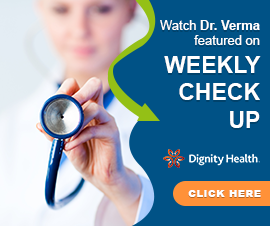 If you experience any kind of itchy skin condition that recurs frequently and/or is not responsive to treatment with over-the-counter lotions and creams, you should see a specialist. Because eczema often has an allergic trigger, Allergy, Asthma, & Immunology Medical Group is an excellent choice of health care provider for individuals suffering from eczema. 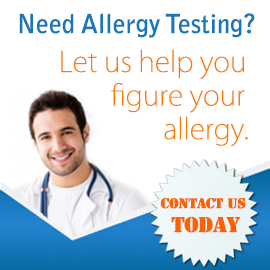 We can test for specific allergic triggers and also help you determine if any particular irritant in your environment, such as a particular soap or detergent, may be contributing to your problem. The main cause of the itchy, scaly, red skin associated with eczema is a lack of moisture. Therefore, the most common way of treating eczema is through the application of a high-quality moisturizer such as Eucerin or Cetaphil. Our doctors can help you choose a moisturizer that is suitable for your skin type and should help reduce the suffering associated with eczema. We can also offer various treatments or medications for any allergies you may have which may be serving as a trigger for the eczema. Ready for healthier, prettier, itch-free skin? Please contact us today to set up an appointment at one of our conveniently located medical offices.